Outdated Tradeshow Booth? Should you Refurbish or Buy New? Should You Buy a New Tradeshow Booth or Refurbish? The lifecycle of an exhibit display can range between three and seven years, depending on how often it is used and the level of maintenance it receives. During that time, industry conditions can change, as well as an organization’s marketing needs and trade show strategy. Perhaps a company has expanded or changed its product line since the exhibit display was produced and, as a result, is targeting a different demographic for sales. Or, competitors at tradeshows may have more upscale exhibits with bells and whistles that create additional buzz in the exhibition hall. Whatever the circumstance, a company’s sales and marketing team must evaluate whether it is better to invest in a new exhibit or refurbish an existing trade show display. Here a few tips to facilitate decision-making. Objectives and Usage. 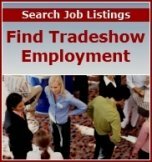 Define the role trade show participation plays in your overall sales and marketing effort. Then, based on allocated resources, determine how often you plan to exhibit in the next three years. If your booth will only have occasional use, it may not be worth investing a lot of money to buy a new one or substantially revamp an existing display... only to have it in storage for the better part of a year. In this case, doing modest booth modifications or renting may be preferred options. Image. Does your existing tradeshow display effectively project your company’s image and brand positioning in the marketplace?If not, it is time to refurbish or buy a new display that advances your company’s reputation and more effectively supports sales efforts. Set-up Time. If the existing trade show booth is difficult to set up or takes a significant amount of time to get ready before a show opens, it may be time to purchase a new display that can be set up in a much shorter timeframe.Staff time is a critical resource at a show. Team members should be spending as much time as possible before and after an event engaged in one-on-one meetings with customers, as well as following up with prospects. There’s no revenue gain spending an inordinate amount of time setting up and dismantling a display booth. Logistical Costs. Shipping and drayage expenses are on the rise and older tradeshow booth tends to be heavier and more expensive to transport than the lighter-weight display models that are available today. Identify potential cost savings for shipping a lighter booth to and from exhibit venues during the next three years. Pricing Scenarios. Identify what would be need to be done to your existing booth to bring it up to the standards and functionality you require.Then request quotes from three reputable display companies for refurbishing your current booth, as well as the for producing a new display to meet your needs. The decision to refurbish or buy a new tradeshow display requires a fine balance between an exhibit’s appeal, functionality and cost. Above all, it is imperative that the exhibit booth effectively project a company’s image and marketing message.